Can you tell the difference between a llama, alpaca and vicuña? Do you know which one has the softest wool? These three animals all look similar but there are noticeable differences between them that will help you tell them apart. Llamas may be a little intimidating up close but that doesn’t stop them from being absolutely adorable. These big, fluffy creatures can be found all over the world but are native to South America, where they are used for their wool and meat and as a pack animal. While there are literally millions of things we could marvel at in the Amazon, today we have decided to focus on just one plant: the Victoria lily, also known as Victoria Amazonica or the giant lily. These gigantic lilies are the real show stoppers when it comes to the Amazon’s flora. The plant life of the Amazon Rainforest is truly phenomenal and among the most spectacular of all the vegetation is the mighty orchid, one of the coolest plants in the jungle. Orchids are exceptionally beautiful and range in size from roughly a dime to a CD. They are brightly colored, which makes them an aesthetic delight and they can be found all over the Amazon Rainforest. If you travel through Peru, particularly through the Sacred Valley, you are likely to see at least one alpaca and you might want to know a few Alpaca Facts before you encounter them yourself. These curious looking creatures have become one of the hallmarks of a trip to the iconic ruins of Machu Picchu. 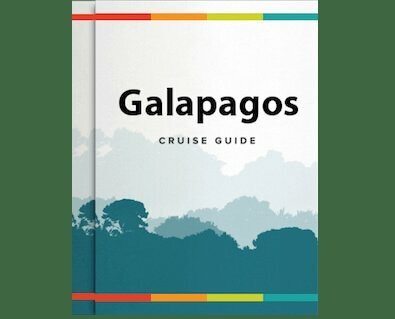 From fur seals to finches, giant tortoises to marine lizards, we’ve uncovered some of the most charismatic endemic Galapagos species that can be seen only here and nowhere else. Giant tortoises are synonymous with the Galapagos, being top of the “must-see” list of many visitors. Galapagos tortoises have a large bony shell of a dull brown, light green or grey colour. The plates of the shell are fused with the internal skeleton, providing the tortoise with a rigid protective structure. Here’s everything you could want to know about Amazon River Bull Sharks, including an answer to the puzzle of why they are found in the river in the first place. As one of the most biodiverse areas on Earth, the Amazon is home to its fair share of creepy crawlies and monstrous creatures. In honour of Halloween, we’ve profiled some of the most fear-inducing predators that call this rainforest home.